What better way for JP to enjoy his visit than a couple days underwater? We were lucky enough to stumble across a Scorpionfish, and plenty of the usual grouper interaction on the reef. 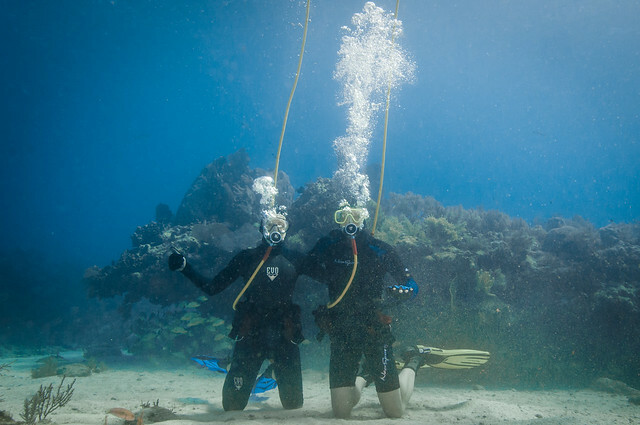 Colette and JP ham it up for the camera at Molasses Reef. 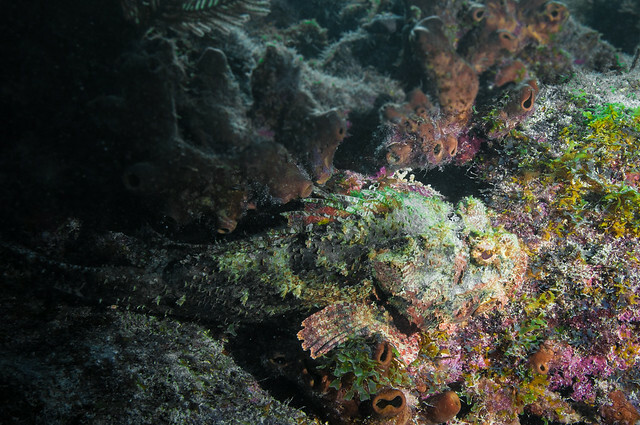 This Spotted Scorpionfish blends right into the reef around him, brought out only by my camera strobes. Although they look like they’re covered with algae, this is actually their skin. 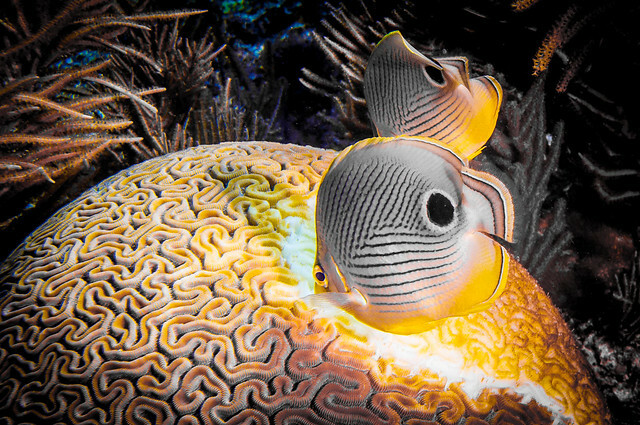 I’m not sure what happened with my strobe to cause this backlit burst, but I like the result with these two foureye butterflyfish eating on some brain coral. 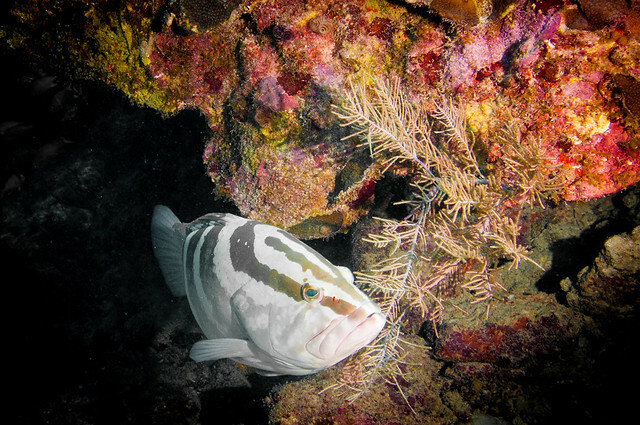 A Nassau Grouper rushes past me in a hurry to leave his dark hiding hole in Molasses Reef. Not a great photo overall, but I love the "David vs Goliath" appearance of the squirrelfish staring down the barracuda. 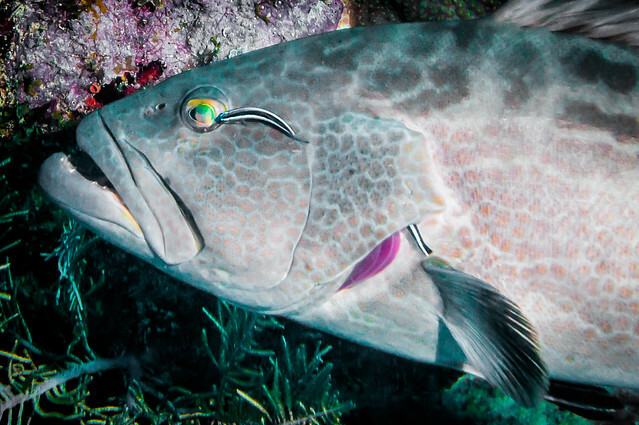 A bluestriped cleaner wrasse cleans this gag grouper’s eyeballs carefully while another takes care of the gills. 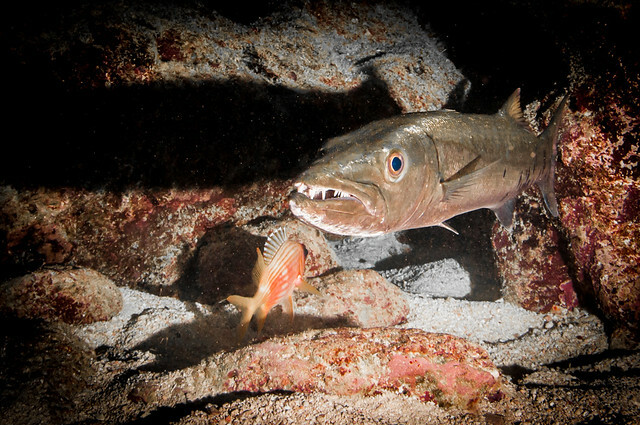 These small cleaner fish even go into predator’s mouths knowing that they won’t be eaten due to their beneficial job. 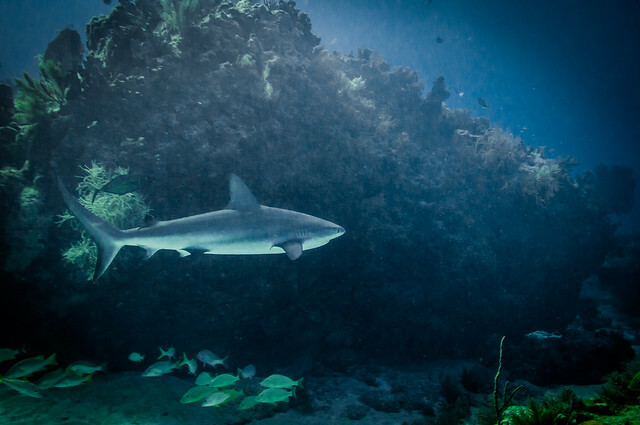 A Caribbean Reef Shark swims through our group at Molasses Reef.